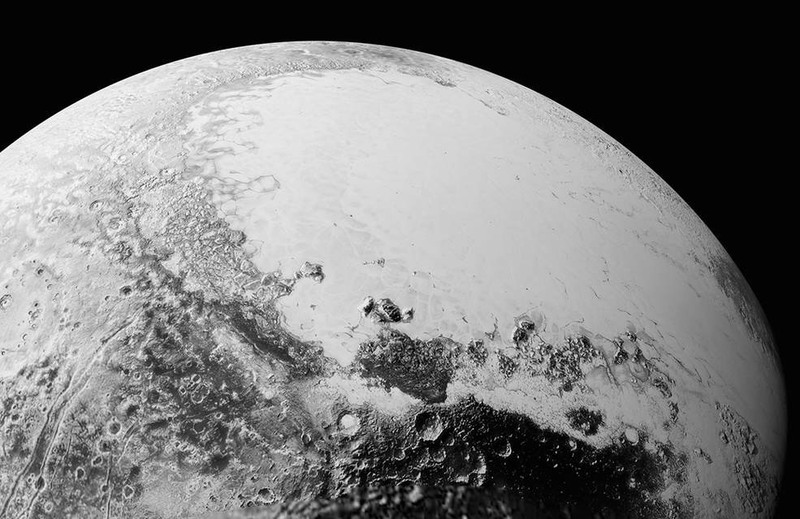 Nasa has posted brand new photos of the planetoid Pluto taken by the New Horizons spacecraft, and they are wowza. Revealing possible dunes, canyons, mountains, plains, and all manner of features that scientists weren't expecting. “Pluto is showing us a diversity of landforms and complexity of processes that rival anything we’ve seen in the solar system,” New Horizons Principal Investigator Alan Stern, of the Southwest Research Institute (SwRI), Boulder, Colorado, said in a statement. “If an artist had painted this Pluto before our flyby, I probably would have called it over the top — but that’s what is actually there.” There are several more amazing photographs on Nasa's blog, along with a very interesting writeup. Check it out.